Animal Defenders International : Conservation & Wildlife : Oppose plans for US council promoting trophy hunting! 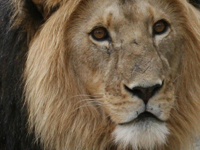 Oppose plans for US council promoting trophy hunting! Update: 39 US legislators, including TEAPSPA sponsor Rep. Raul Grijalva, have joined ADI and other groups to oppose the International Wildlife Conservation Council. Read their letter here. Oppose this taxpayer-funded council. See below for our template letter. Please join ADI in opposing the US Fish and Wildlife Service’s (USFWS) proposal to establish an “International Wildlife Conservation Council” to increase public awareness of the “conservation, wildlife law enforcement, and economic benefits” of trophy hunting. The deadline for comment is November 24 2017 (NOW CLOSED). Killing is not conservation. The US is the world’s largest trophy importer, yet it has failed to protect species against the escalating threats to their survival. Indeed, many have suffered staggering decline over the last century. Trophy hunting accounts for a very small part of the tourism industry in most countries - less than 2% of tourism revenues - whereas eco-tourism has been found to incentivize conservation and generate substantial, ongoing economic benefit in direct earnings, more than 15 times that for game farming and trophy hunting. As a portion of any national economy, income from trophy hunting is considered completely insignificant, never accounting for more than 0.27% of Gross Domestic Product. Trophy hunting also provides avenues and cover for illicit trafficking; for example, lion bone trade is on the rise, as skeletons obtained via canned hunting operations have stirred market demand, with related spikes in poaching of both wild and captive lion populations. Negative impacts of trophy hunting in sub-Saharan Africa have also been identified in a 2016 US House report which found “many troubling examples of funds either being diverted from their purpose or not being dedicated to conservation in the first place,” and “no merit to claims that hunting deters poaching.” calling for greater oversight. Shockingly, taxpayers cover 92% of all hunting permit fees, subsidizing trophy hunting . Hunters comprise only 5% of the US population - down 1.5 million between 1996-2006 (when wildlife watching increased 13%) and another 2 million between 2011-2016 - and not all domestic hunters support international trophy hunting of threatened species. A 2016 USFWS survey (issued this year) found the “biggest increases in participation involved wildlife watching … [which] surged 20 percent to 86 million participants. Money spent on these activities also rose sharply from $59.1 billion to $75.9 billion.” To provide the small, but powerful and well-funded trophy hunting lobby a front row seat to national policymaking under the guise of “conservation” will only attract further criticism and endanger wildlife. Submit your comment to the USFWS BEFORE November 24 2017 (NOW CLOSED) using our template letter below. Sign up to receive our email updates and actions. Support our worldwide campaigns for wildlife. I write in opposition to the use of US taxpayer funds to establish a proposed “International Wildlife Conservation Council” to promote and advise the federal government on the “benefits” of trophy hunting. The US is the world’s largest trophy importer, yet it has failed to protect species against the escalating threats to their survival. Indeed, many have suffered staggering decline over the last century. Killing is not conservation. A 2016 US House report identified negative impacts of trophy hunting in sub-Saharan Africa, finding “many troubling examples of funds either being diverted from their purpose or not being dedicated to conservation in the first place,” “no merit to claims that hunting deters poaching,” and current permitting to be “arbitrary, confusing, and not based on sound science.” Shockingly, US taxpayers cover “92% of all permit fees,” “subsidizing” trophy hunting. The claimed financial benefits of trophy hunting to local communities are largely exaggerated, and bear little actual connection to conservation, whereas eco-tourism generates substantial, ongoing economic benefit. Trophy hunting provides avenues and cover for illicit trafficking; for example, lion bone trade is on the rise, as skeletons obtained via canned hunting operations have stirred market demand, with related spikes in poaching of both wild and captive lion populations. I urge you to withdraw consideration of this council, and to instead focus upon scientifically supported and sustainable conservation practices, to save wild species before it’s too late.